Home > News > 'Tis the season for gifting! 'Tis the season of giving, and Elyrians have always been a generous bunch. To aid in the sharing of holiday cheer, the Soulbound team prepared a feature our community has been requesting. Starting today (December 21st), we're adding new gifting features to the store. Give the Gift of Growth! 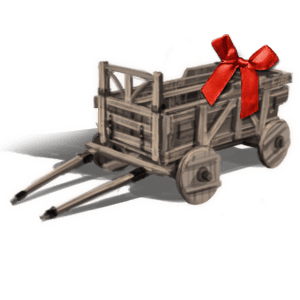 To aid your allies and vassals, you now have the ability to purchase some items from our online store as a gift for a limited time! This includes 5 of the 6 EP packages in the store currently, AND the 3000EP pack that is being taken out of the vault until the end of December. Additionally, various other items donning a red ribbon are also able to be bought as gifts and sent to others. It works differently for pledge packages than for store items. Pledge package: If you are gifting a pledge package, you can still use the "Purchase as Gift" button on the detail page of the package you are considering. 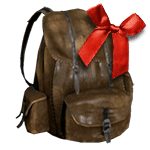 Store items (NEW): If you want to gift an item, it must have a red ribbon on it. Once purchased, it will appear in your inventory and you will be able to send it. Note: If you purchase a store item without a red ribbon, it will not be giftable and is not returnable/refundable. These items are able to be purchased as a gift starting on December 21st. EP gifts will remain until the end of the year, the other gifts indefinitely. Please note: To prepare for this, the site will be down today for a short while at 3pm PT, 6pm ET, 11pm GMT, 23:00 UTC, 10am AET (22nd). 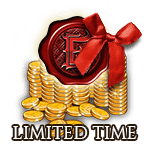 EP is an in-game currency used during the Exposition phase of our pre-Alpha experiences. Exposition is a 3 month period where players with Bloodline pledges and above will get to seed the world with the beginnings of civilization. Settlements, towns, organizations, and guilds, all will be placed and enshrined in the story of their server before other players enter the world at later stages. To learn more about EP in detail, visit this thread written by Caspian. Gifting EP to your allies and partners allows them to set higher goals, increases their flexibility, and provides them more customization. So head on over to the online store today and gift them the power to build Elyria! Q: Will gifting be available from now on? A: EP will be giftable through the end of the month. 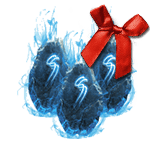 Some a la carte items will remain giftable after December. Q: Why can't I gift items already in my inventory? A: To enable gifting, we needed to create new items for the store and it was not possible to enable this for existing inventory. Since gifting wasn't active then, we thought it was safe to assume you wanted those items for yourself anyway. Q: Can I gift the items I purchased in the a la carte store that are already in my inventory? A: No, see the answer to #2 above. Q: Can someone I gift EP to return it to me or for store credit? A: Yes and no. The EP cannot be returned for store credit, but if it isn't claimed by the recipient it can be resent to anyone. Q: What if I accidentally gift EP to someone that isn't Bloodline+? A: The store will not prevent you from doing so but they will not be able to claim it. However, they can send it to someone else or upgrade their package to claim it later (prior to Exposition). Q: What if I gift someone an item they already had in their pledge package? A: They will have an additional one of those items! Q: Can I gift more than one item at a time? A: It depends on the item. Tokens can be sent in quantity as they "stack" as an inventory item. Other items may need to be purchased separately. Q: I bought a package, but it isn't in my inventory, only the items are and there is no send button next to them? 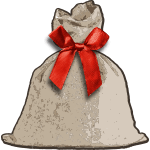 A: If you purchase a new package and not as a GIFT, you will automatically claim it and the items are NOT giftable since they are a part of the package bundle. Q: I received a gift pledge package higher than my own. Why can't I use it to upgrade? A: At this time, to upgrade your pledge package, you need to pay for it on your account. However, multiple packages will be able to be claimed at a later date, prior to Settlement & Domain Selection so you can hold onto it if you like. Q: I bought 3 Villager/Guild tokens, and then sent them to someone. Now the store says I can't buy any more. A: There is a purchase limit of 3 Villager/Guild tokens per player. Q: Why are some items not able to be gifted? A: Some were for technical reasons, others were for game balance. Q: I bought a gift and sent to someone, but they already had it. What can we do? A: They can send it back to you, or they can resend it to someone else. Q: I accidentally bought the wrong item, can I get a refund? If you have any additional questions, please reply to this thread or email us at support@soulboundstudios.com. Do we get IP for gifting? This provides a great opportunity for offering rewards to people. Thanks for bringing this online before the contest ends. I believe it will be very helpful to our campaigns! It’s a shame that EP gifting ends before the Free Kingdom event. Sure, tokens are a good way to show support now, but once the FK winners are announced we have no way to gift EP to invest in those winning regions. It’s a shame that EP gifting ends before the Free Kingdom event. Sure, tokens are a good way to show support now, but once the FK winners are announced we have no way to gift EP to invest in those winning regions. Use the Villager and Guild token items instead. Or better yet purchase the EP for yourself and show your support by choosing to settle there. By default the EP you spend in growing your position, your family, your settlement or your guild/s during Exposition will be also investing into the region you do it in. 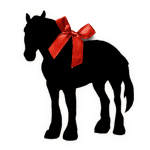 Posted By **Quintero** at 08:10 AM - Fri Dec 22 2017 > > It’s a shame that EP gifting ends before the Free Kingdom event. > > Sure, tokens are a good way to show support now, but once the FK winners are announced we have no way to gift EP to invest in those winning regions. Use the Villager and Guild token items instead. Or better yet purchase the EP for yourself and show your support by choosing to settle there. By default the EP you spend in growing your position, your family, your settlement or your guild/s during Exposition will be also investing into the region you do it in. Gifting without 2 step verification? We don't require it since we don't store your payment information on our site. To pay for items in the store, you will be required to do so in the payment gateway anyways. Think the problem is not so much with payment information being accessed, but with accounts being hacked and all items being gifted away (or rather sold by the hacker). Granted, it won't work for items already in our inventories, but it will work for the gift packages. Especially for the ones I intend to keep myself. 2FA is always a good thing. 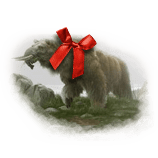 Posted By **Serpentius** at 10:01 PM - Thu Dec 21 2017 > > Posted By **KalTheo** at 12:30 PM - Thu Dec 21 2017 > > > > > Gifting without 2 step verification? > > We don't require it since we don't store your payment information on our site. > > To pay for items in the store, you will be required to do so in the payment gateway anyways. > > Thanks :) Think the problem is not so much with payment information being accessed, but with accounts being hacked and all items being gifted away (or rather sold by the hacker). Granted, it won't work for items already in our inventories, but it will work for the gift packages. Especially for the ones I intend to keep myself. 2FA is always a good thing. I’m ready to spread some Christmas cheer!! Lovely, lovely I have some people I know I want to send some things! As stated above, the site will be going down a little after 3pm PST for the update!